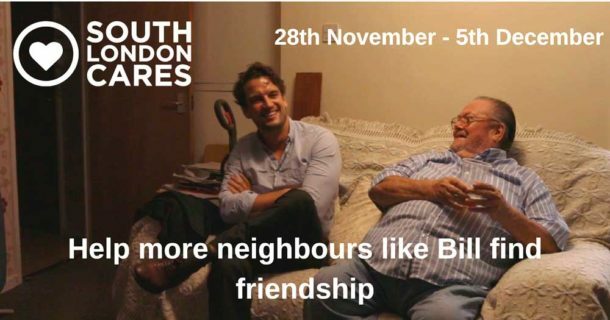 The Brixton-based charity South London Cares that brings together younger and older neighbours is launching its Winter Wellbeing project. The annual project distributes free blankets, warm clothes, and fuel grants of up to £100 for those at risk of exposure to the cold. The project also provides older people with information about accessing local council services and community activities to tackle social isolation. The Charity is participating in this year’s Big Give Christmas Challenge Campaign which runs online from 12pm on Tuesday 28 November to 12pm on Tuesday 5 December. 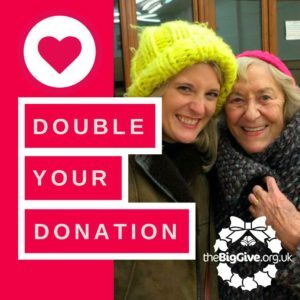 Any donation to South London Carers through The Big Give website will be doubled enabling more older people to be supported. For more information and to donate go to the website. The Christmas Challenge is the UK’s biggest online match funding campaign which helps UK-registered charities raise funds for their cause. Since the Big Give launched the campaign in 2008, the Christmas Challenge has raised over £78 million for more than 2,800 charity projects. Winter Wellbeing runs an extensive communications campaign to reach as many people as possible, by distributing leaflets through local networks, sending letters to older neighbours referred to us by local Councils and knocking on doors to see if older neighbours are in need of support and extra connection. According to the charity, a recent study by think tank Demos places Southwark and Lambeth among the highest quartile for loneliness and isolation amongst older people in the UK. And with the proportion of over 60s expected to nearly double by 2030, this is a problem that is growing in both scope and severity.